Format: Team of 3 – 1 Foilist, 1 Epeeist, 1 Sabreur, with a mix of male & female fencers. 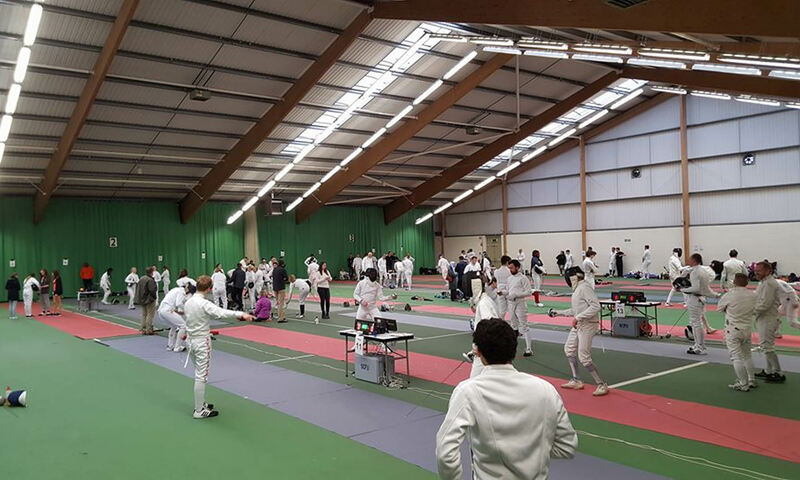 Ideally, all fencers should be from the same school/club although some discretion will be accorded to clubs with limited female fencers or sabreurs. Please encourage intermediate (as well as above) fencers to enter. There is a Costa on site with their normal range of food and drink. Venue: Hall 1, University of Birmingham Sport & Fitness, Off Edgbaston Park Road, The University of Birmingham ,B15 2TU. Access: There is a free car park opposite the main entrance to the Sport & Fitness venue, or parking is available on the internal perimeter road. Check in: Closes 11.30 am. All fencers must be ‘Compete’ members of British Fencing. Membership will not be available on the day. All fencers must be over 13 by 1st January 2018. Competition will be fenced on conductive pistes. Relay format will be fenced throughout the competition. Some electric kit may be available on loan. Please check in advance of event. For safety reasons, British Fencing regulations regarding clothing and equipment will be strictly adhered to. This event is registered with BFA for insurance purposes. I understand that the organisers do not accept responsibility for any accident, loss or damage sustained during the event.